I get sent a lot of photos which people hope I can identify. I love getting them - I only wish I could do better on identifying. If they are common Australian spiders, I have a chance. With thousands of species identified in Australia alone and many more thousands yet to be described by science, my chances of recognising a spider from a photograph is small. When they come from other countries, I am often struggling to even know the family. The problem is made worse because the photographs often don't show me what I need to know and the senders don't include the necessary information. I need to know where the spider was photographed - not only the location but whether it was associated with a web (really important), near houses, in a burrow, in dry bush or wet forest and so on. With the photos, most are blurry. As I need to see details like the hairs, that makes life difficult. But most useful of all are the eyes. Almost every spider photo is taken of its back. 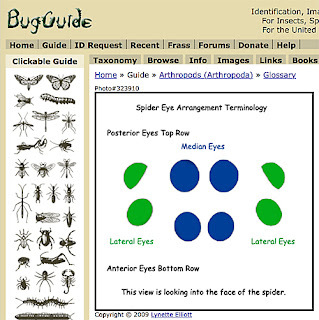 Spiders are often identified to family level from their eye pattern. This is clearer, and I am getting a good idea. But I still can't see what I need. And the really useful one! I have the eye pattern. 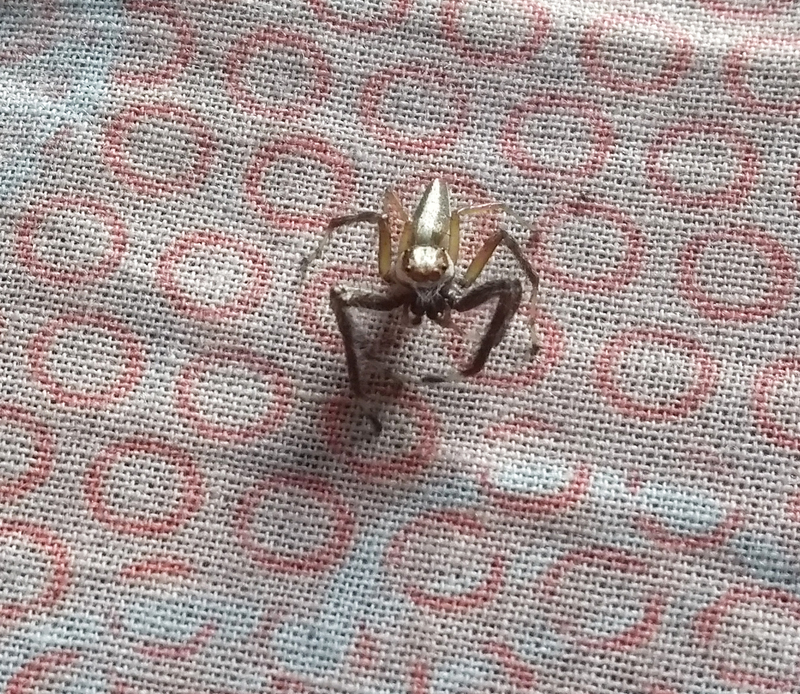 It has a large front pair of eyes ... jumping spider or wolf spider or lynx spider? 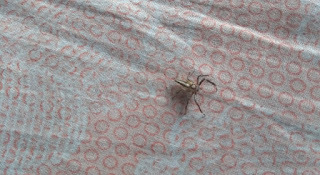 The photo is clear enough to see the very strong spines on its legs, which indicates probably a lynx spider (family Oxyopidae). 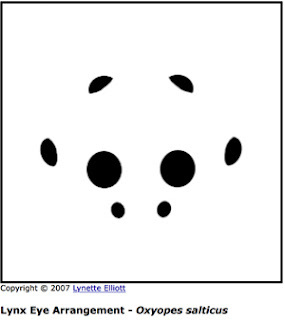 But it is the eye pattern which will clinch it - and Rushil's photo shows them. Bingo! NOT! I jumped (pun intended as will be obvious soon) to conclusions too fast! Fortunately some experts jumped in - thank you Lizzy Lowe and Alan Henderson. The two little eyes under the large anterior median eyes aren't there! I thought that I could see spines on the legs which is why I headed for lynx spiders. Clearly, I judged that wrong too. 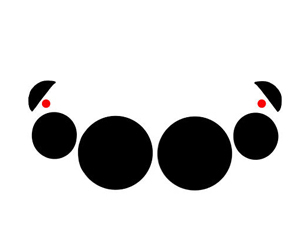 Try again: This is the eye pattern of the jumping spiders, family Salticidae. 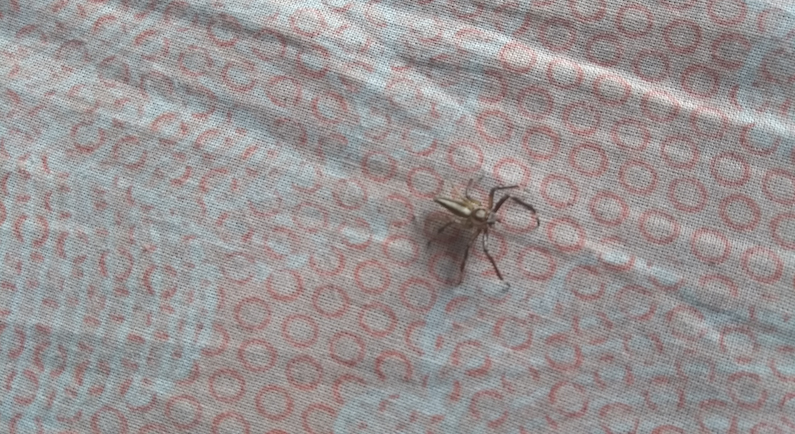 So Rushil's spider is definitely a jumping spider. From the bulges on the end of the pedipalps at the front, I would guess that he is a male wandering in search of a female. Now I need to hear back from Rushil to know what country the spider comes from. I can work out the size from the image! UPDATE: Rushil tells me that he is in India. I'll wait for the experts to see if they can tell me more. CONCLUSION: I am really good at loving spiders and observing my locals. I am no good at ID unless it is one of my locals - much as I would love to be and will keep trying. 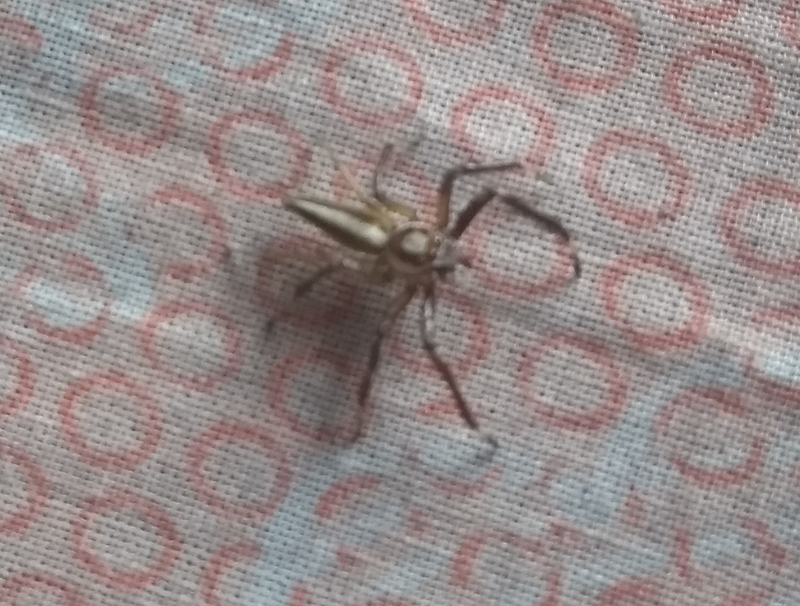 Sorry but this is definitely a jumping spider. 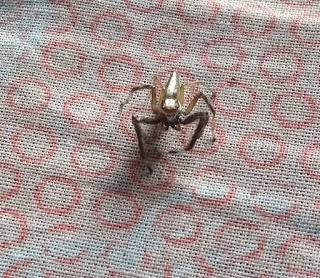 The points i would use to ID them are the very large median eyes, the long front legs and the lack of spines on the legs (very characteristic of lynx spiders). Body shape is always a good indicator too! No need to be sorry - I am delighted to be corrected. My arachnid guru and inspiration, Alan Henderson pointed it out as well. I am very pleased to have this corrected and now have clear evidence why I am not the person to send ID questions to. 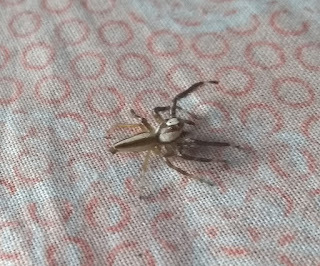 Any idea which jumping spider? But I dont know if that genus is in India too! So pleased to make your acquaintance, Lizzy. 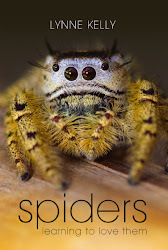 We spider lovers need to band together against the incredible bad press these adorable critters attract.